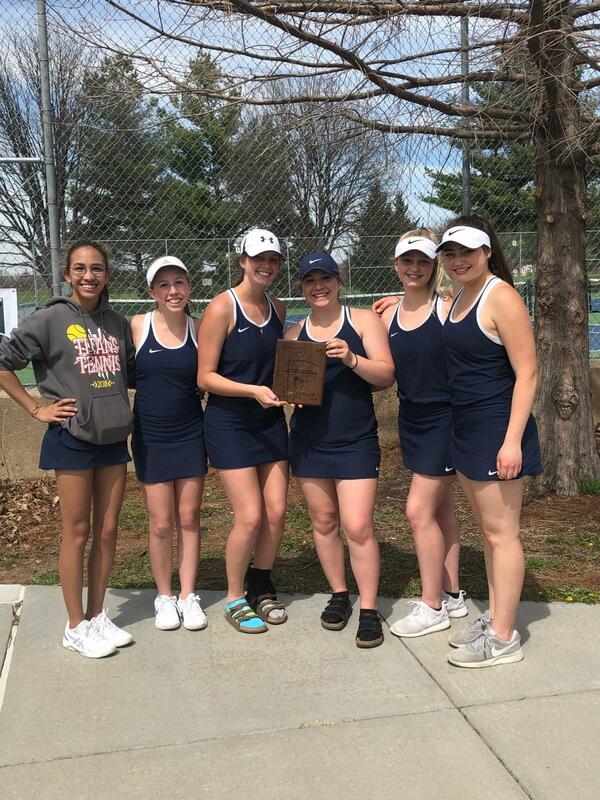 On April 15th, the Titan Varsity Girls Tennis team entered play against an 8 team field at Woods Tennis Complex, including Lincoln North Star, Columbus, Elkhorn, Norfolk, Millard South, Omaha Bryan, and Wilber-Clatonia. The team of Izzy Havel, Georgia Havel, Anastasia Krueger, Madeline Starr, Taylor Ronne, and Crystal Craft scored a total of 36 points to bring home the 2nd place plaque behind the host North Star. Medal winners include #1 Doubles Team Izzy Havel and Georgia Havel, taking second, #2 Doubles Team Anastasia Krueger and Maddie Starr taking 1st and earning Gold, and #1 Singles player Crystal Craft earning a 4th place medal. Each doubles team and singles played four matches in a pro set style to 8.